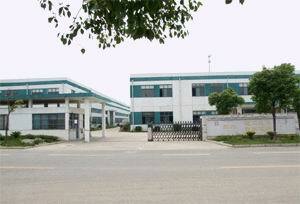 Located In Wuzhong Economic Development Zone, Suzhou City, Jiangsu Province, P.R.China. Suzhou Leader Imp. & Exp. Co., Ltd. Is filiated Enterprise Of Suzhou Light Industrial Motor Factory, Leader Servo Technology (Suzhou) Co., Ltd. , Suzhou Light Industrial Motor Plastic Machinery Factory And Home Appliance Motor Factory. 5. Manufacturing Machine And Testing Machine. 6. Gear Box And Gear Motors. Main Products Are For Europe, American, Australia/NZ And Asia Market. We Insist To Supply Quality Products And New Products To Improve Our Products Level And Range. Also Improve Customer's Product Design With Our Dedicated Solutions, Try To Adapt And Engineer Our Products To Meet Any Specific Market Demand.